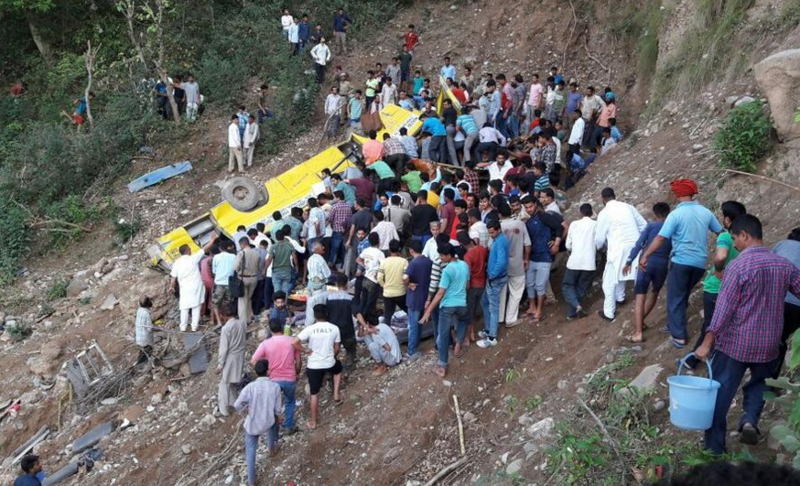 A schools bus fell down over the cliff in Himachal Pradesh, an India’s state, as The Times of India reported. It was noted that as a result around 30 people, 27 of them were children, died. 67-year-old driver and two teachers are among the dead. The number of victim can rise, as many pupils are still under the bus’s wreckage. The news agency informed that the bus, which belongs to the private schools, was driving from school and took the pupils to homes. The rescue operation is being conducted.